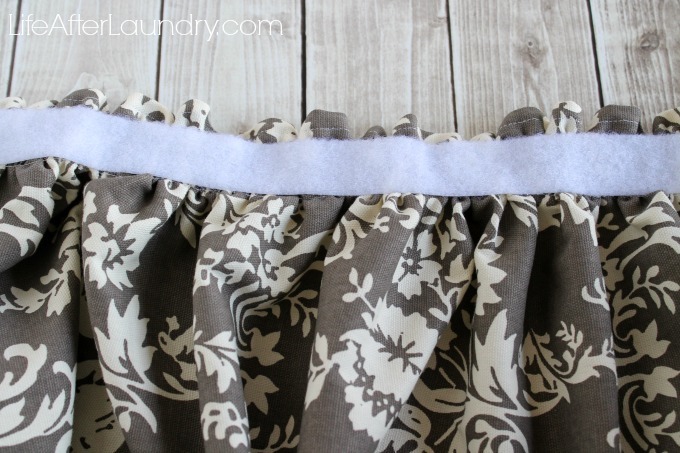 Today I am sharing with you my DIY Jupe Evier: Gathered Sink Skirt. 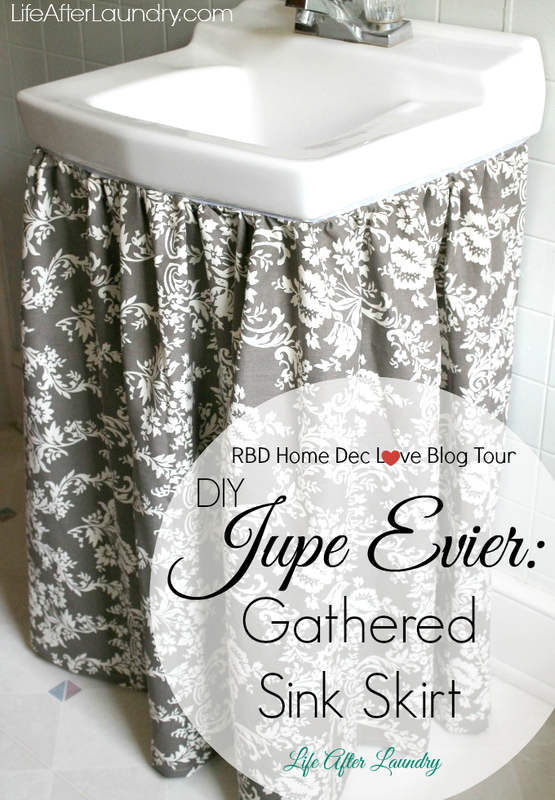 Ok, so in French, “sink skirt” is “jupe evier.” I mean come on, I’m part of the Riley Blake Home Dec Love Blog Tour I couldn’t just name my project DIY Ruffled Sink Skirt. It sounds so blah that I cringe, but using french makes it lovely, right? You may ask yourself why I decided to do such a project, well look below and you will see. (And you may cringe a little yourself.) The bare pipes look awful! As much as I would love to gut the whole bathroom and start over, that just isn’t possible right now. However, just like using French in my title made it lovely, a little Riley Blake Home Dec fabric in my bathroom worked just the same! 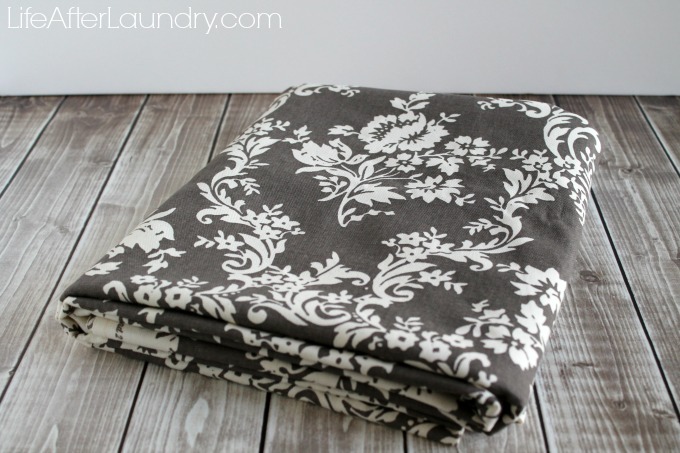 I love home decor fabric for any project because it comes in a larger width, and is more durable. 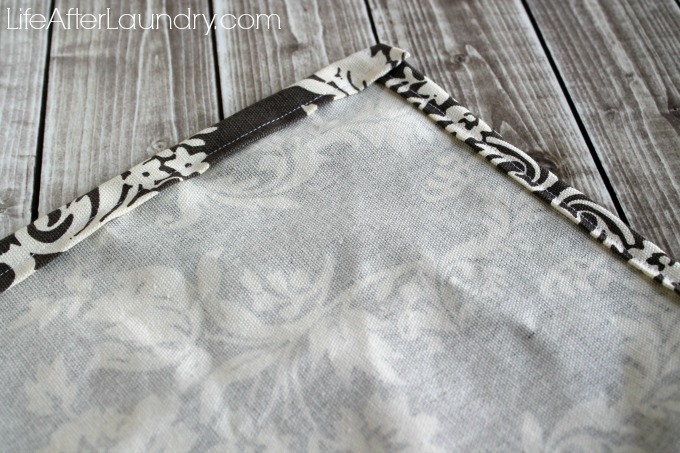 It is very versatile, so whether it is a sink skirt, placemat, or a purse I love using home decor fabric. To create my skirt I measured around the sink, and then from sink to the floor. Then adding a few inches for seam allowance. Because I wanted my skirt to be ruffled I doubled the measurement from around my sink. I then hemmed around all 4 sides, so there wouldn’t be any unfinished edges. My bottom hem was slightly larger than the rest, but this was just a personal preference. 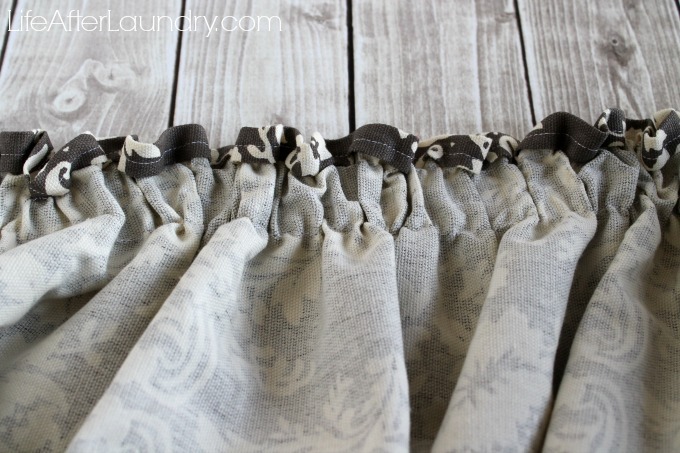 I ran two loose basting stitches along the top of my fabric to create a beautiful ruffle. 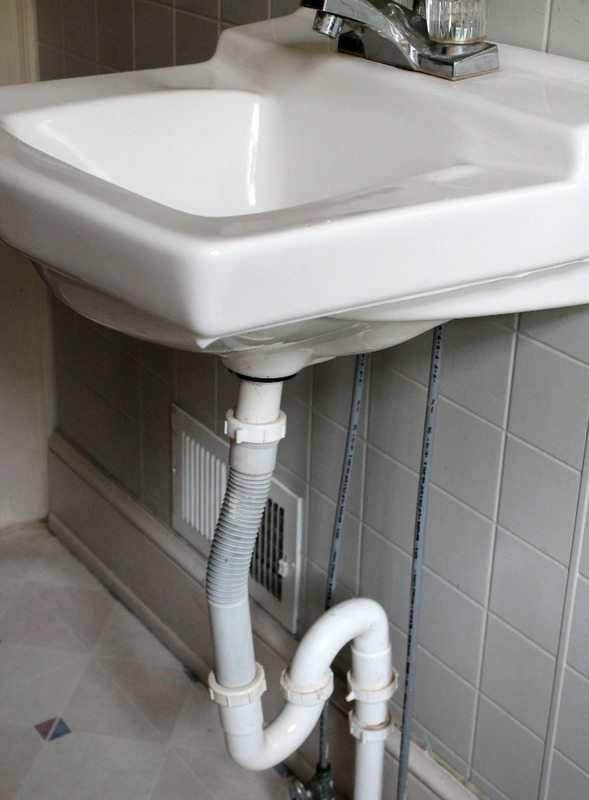 Because of the way I wanted my skirt to hang off of the sink I attached my velcro to the front of my skirt and to the bottom edge of my sink. Now, doesn’t that look more lovely? 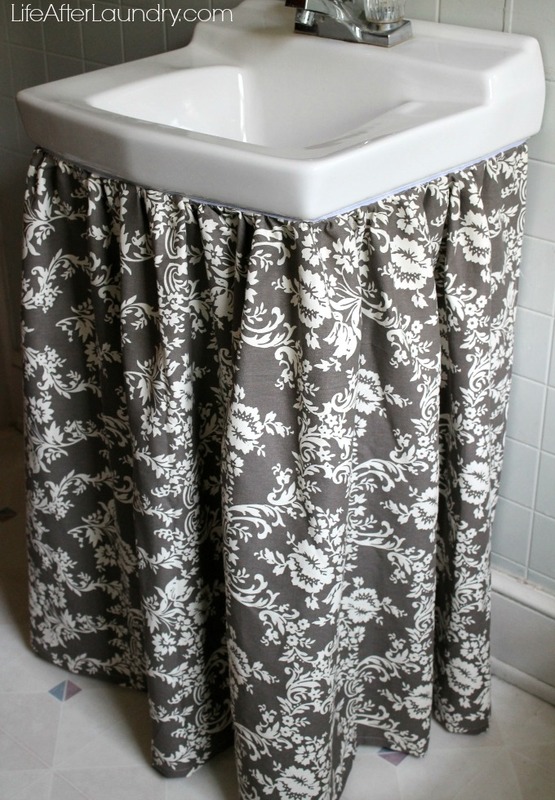 I love how a little fabric made such a big upgrade to my bathroom. I also enjoy when I can use my talents (and beautiful fabric) to enhance our home. As I gushed earlier, I’m so honored to be part of this tour, not just because of Riley Blake, but also to be included in this talented group of women. Below you will find all of the lovely ladies participating in the tour. 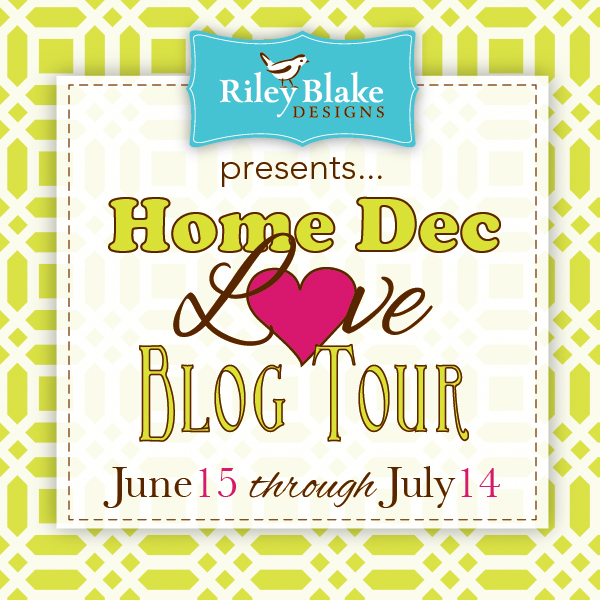 I know you will want to check out their awesome home decor fabric creations. This is awesome! I love the new look…. WOULD YOU MIND SHARING EXACTLY WHAT FABRIC THIS IS I WENT ON SITE BUT COULD NOT FIND IT.